With the imposing Adare Manor House serving as a backdrop, the golf course cuts its way through lush, tree-lined parkland that is dissected by the meandering River Maigue. It is simply stunning. 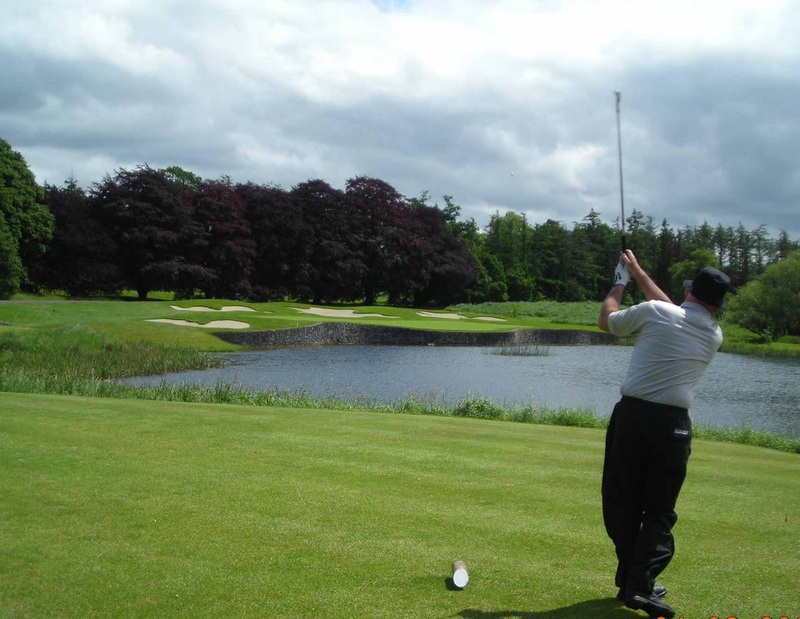 While looks alone would attract many a golfer to Adare Manor, it is not a case of all-looks-no-substance as the intelligent design of Robert Trent Jones Snr provides an enthralling test of golf from start to finish. Subtle American accents, plenty of water and clover leaf style bunkers – a Trent Jones hallmark – are the main features of the course and while Adare is perfectly playable for mere golfing mortals – the course measures just over 6,500 yards from the medal tees – an additional 1,000 yards from the championship tees means it is enough of a brute to test the best in the game. Adare hosted Ireland’s national open in 2007 and 2008, with home favourite Padraig Harrington collecting the spoils in 2007. His winning score of just 5 under par – last year’s winner, Jamie Donaldson shot 18 under at Royal Portrush – is evidence of the severity of the test on offer at this parkland gem. 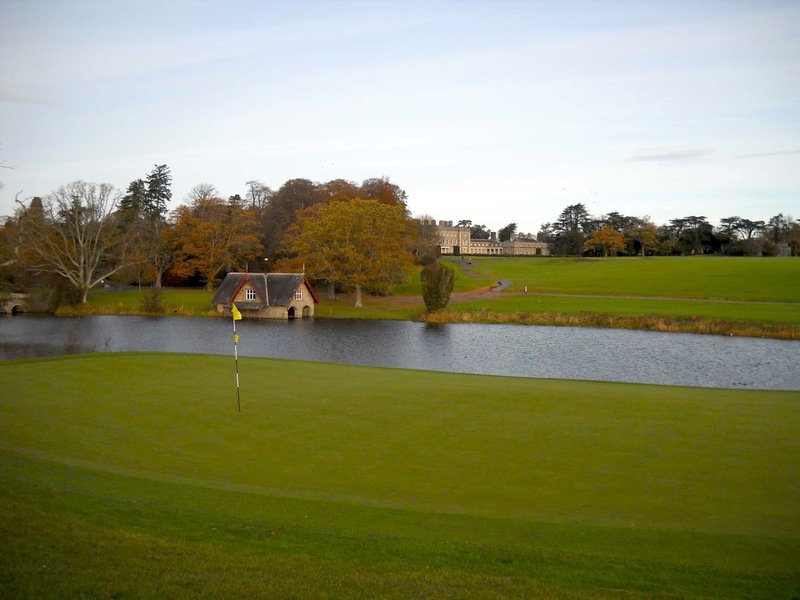 The Montgomerie was the stage for the Irish Open in 2005 and 2006 and, like Adare Manor, it provided a stern test. Monty clearly had the great links of his home country in mind when he designed the course – there are links traits everywhere – and while his Carton House creation will never satisfy the true definition of the term, it has been described by many as an inland ‘links’. The Montgomerie Course is defined by manufactured humps and bumps that frame the fairways, swaying fescue grass and countless pot bunkers. This is an honest, unpretentious driver’s course – the Monty weighs in at 7,300 yards from the championship markers so driving well will be key for the Pros this week – which needs to be managed well. Avoiding the pot bunkers is essential for a good score. With one good hole after another, it’s tough to pick a signature hole on this course but the par threes are especially noteworthy. The stadium atmosphere around the par three 17th will be electric over the weekend. Situated just 15 miles West of Dublin, Carton House is easily accessible and it’s affordable too. 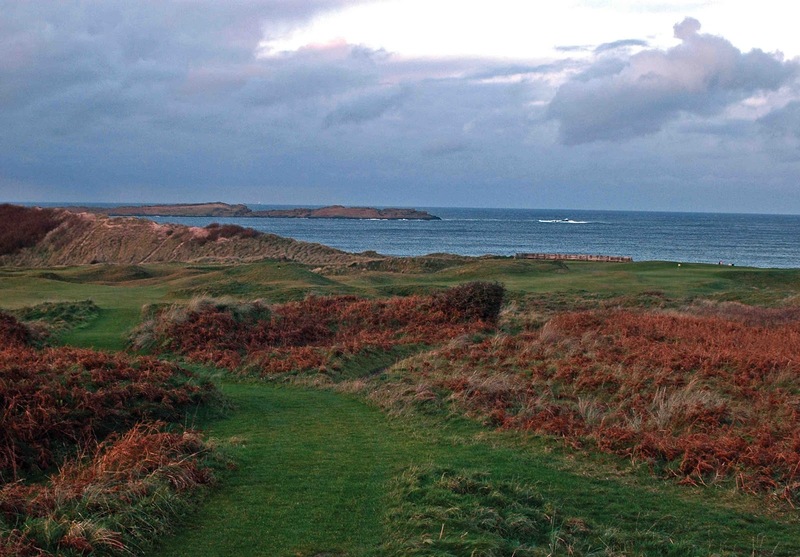 Tune into the Irish Open this week to catch a glimpse of the course. Outside Ireland, County Louth, or Baltray as it is known by some, might not be the best known course but it is a links gem that was deemed good enough to host the Irish Open in 2009. This is undoubtedly a classy course but for some reason has remained one of Ireland’s best kept golfing secrets. Originally opened for play in 1892, it wasn’t until 1938 that the current layout came to be. 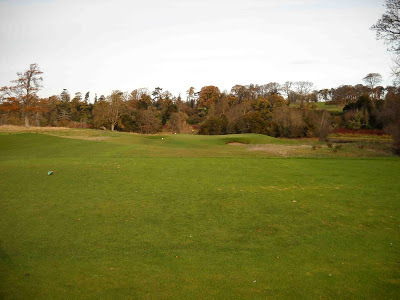 Tom Simpson and Molly Gourlay are the men largely responsible for the present course but, in 2003, Tom Mackenzie made some minor changes to the layout, most notably the addition of new tees which has stretched the course beyond 7,000 yards. 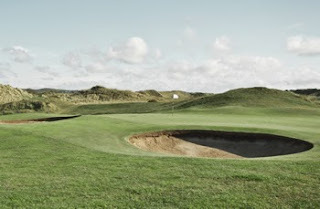 Laid out in two loops of nine, County Louth doesn’t follow the traditional nine out and nine back routing of a classic links course but all the other links ingredients are present. Situated a stone’s throw from the Irish Sea and with the Mountains of Mourne visible in the distance, there are pot bunkers, fescue covered sand dunes and sweeping undulations galore. These combine to offer a thoroughly enjoyable test to Pros and recreational players alike and the greens are especially good. Indeed, they are the hallmark of the course, featuring considerable yet subtle breaks. They are among the very best in Ireland and can often have the final say on your score. At the 2009 Irish Open, County Louth provided the perfect stage for Shane Lowry to become only the third ever amateur to win a European Tour event. 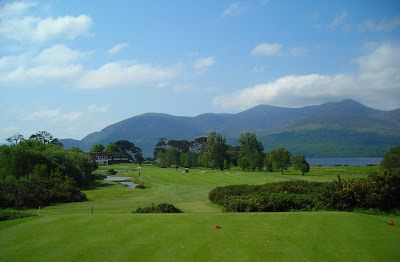 Of the three golf courses at Killarney Golf & Fishing Club, the Killeen is the best. It hosted the Irish Open in 1991 and 1992, with Nick Faldo triumphing on both occasions. In 2010 and 2011 there was more English success with Ross Fisher and Simon Dyson winning. Set on the banks of Lough Leane in the stunning Killarney National Park, the Killeen is as pretty as they come. Lough Leane, the MacGillycuddy’s Reeks and lush, rolling parkland bursting with colour combine to create the most tranquil of settings. Killeen certainly does its surroundings justice. 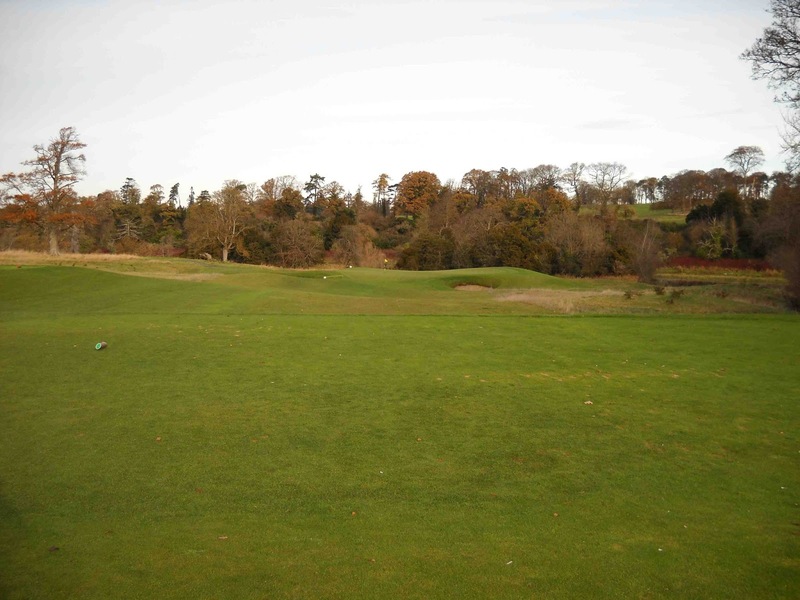 Tree-lined fairways provide a great sense of isolation on many holes and appear narrower than they really are, making driving tricky, especially from the back tees. Re-opened in June 2006 the course is longer than it once was and with faster greens that have been brought closer to the water hazards around the course. It is certainly no pushover. Bordered by the towering dunes that typify the shoreline of County Antrim, the famous Dunluce Links was originally conceived and realised in 1888, but the championship layout in its present state owes thanks to the 1947 redesign completed by Harry S. Colt. Home to Darren Clarke, Royal Portrush Dunluce isn’t the longest of championship golf courses but it is predicated on the fundamental essence of links golf. Exposed to the elements, the course's character is largely dependent on the weather and its difficulty can change in a heartbeat. Fairways nestle between the dunes; diminutive greens blend perfectly into the landscape and while there are very few bunkers for a links classic, the ones that do are dramatic to say the least. On the 17th tee, one of Ireland’s largest bunkers greets you and it has welcomed many golf balls over the years. From start to finish, Royal Portrush is a roller coaster ride but the most spectacular parts of the course are down by the shore. The 5th hole, known as “White Rocks”, is breathtaking and the 14th, aptly named “Calamity”, is simply terrifying! A 210 yard par three with a devilishly deep chasm to the right of the green puts considerable pressure on the tee shot. Walk off this hole with a three on the card and you can pat yourself on the back! Royal Portrush hosted its first Irish Open last year and smashed European Tour attendance records in the process, proving that the old links certainly has a special allure. 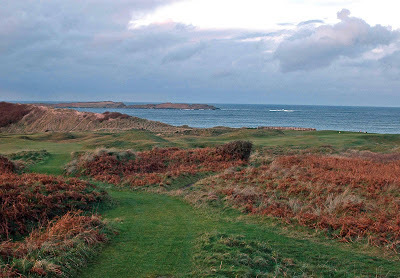 Royal Portrush is currently the only course outside of Scotland and England to have staged the Open Championship and last year’s Irish Open might just have convinced the R&A that it is high time for golf’s oldest major to return to the Emerald Isle.